We are a family run company and have been trading for the last 20 years. Recently we moved premises to a brand new purpose built building to incorporate our new business Leyland Self Storage. We still offer the same friendly advice and look forward to welcoming you. 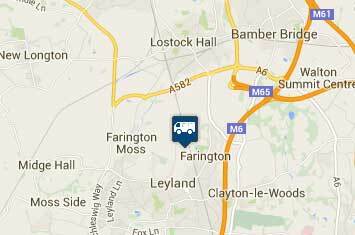 We are open seven days a week and conveniently located close to the M6 motorway network in Leyland. We have many rental options for each vehicle to suit each of our customers so they can hire a vehicle for a short period of time or for a longer time. We are able to hire out any vehicle we have for a few hours to a fortnight, or longer if needed and we will provide quotes for all lengths of rentals. 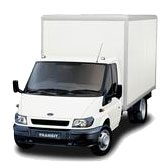 Each vehicle can be hired for many reasons, for example, a van might be needed to move large objects between two destinations or to replace a broken fleet vehicle temporarily. There are many reasons why a vehicle will be hired and we have vehicles to cater for all types of reasons. Getting where you want to go with a heavy load can be really problematic, but hiring a van could put your mind at rest. Whether you're looking for small haulage or are planning to move house and transfer all of your worldly possessions from one side of Lancashire to the other, you'll find Leyland Van Hire can guide you.